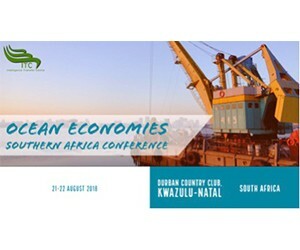 The Intelligence Transfer Centre will be hosting the Annual Oceans Economies Southern Africa Conference on 21 & 22 August 2018, Durban Country Club. This conference seeks to outline projects aimed at unlocking the potential of the oceans. A key player in oceans economy, the Transnet National Ports Authority (TNPA), owns, operates and controls SA’s eight commercial ports. TNPA representative Mr. Ricky Bhikraj, Executive Manager: Research and Operations, will be speaking on the refurbishments projects taking place in our ports and job creation. Responsible for managing freight transport on seven of the commercial ports on behalf of the state, Transnet Port Terminals handles commercial services of sea-route freight across imports, exports and cargo in containers. Chief Executive, Ms. Nosipho Sithole will be focusing on the promotion of women in the ocean sector, addressing challenges faced by women in the maritime space whilst highlighting the sterling work being done by women who have successfully made their mark in the marine field. Operation Phakisa was adopted to contribute towards national priority sectors and to speed up service delivery. Mr. Humbulani Mudau, Chief Director: Space Science & Technology, Department of Science & Technology will unpack the DST’s role in collaborative strategies to achieve economic transformation and the roles played by different agencies involved in Operation Phakisa. The South African Maritime Safety Authority (SAMSA) played an important role is setting up Operation Phakisa. Chief Operations Officer Mr. Sobantu Tilayi will highlight the importance of safeguarding and protecting our oceans in the quest towards blue economies. Mr. Tilayi will also outline SAMSA’s role in the promotion of the country’s maritime interests and ensuring safety of personnel and property at oceans. The establishment of Industrial Development Zones were aimed at growing economies of identified towns in different provinces. Ms. Trudie Nichols, Partner at Bowman Gilfillan will speak on the progress special economic zones have made in realising industrialisation, regional development and employment creation. At the core of ocean economies implementation, lies the financial element that enables the realisation of the growth of industries such as marine, transport, fishing, tourism, oil and renewable energy. Acting Chief Executive of Trade & Investment Kwazulu-Natal Mr. Neville Matjie’s talk will focus on financial investments and opportunities emerging from Africa’s aquatic through Public Private Partnerships (PPP). Another financial element of oceans will be explored by Mr. Pat Moodley, Regional Manager: KZN Regional Office of the Industrial Development Corporation (IDC), who will deliver an IDC perspective on the role they play in financing port activities. Conservation Strategist, Judy Mann-Lang of the South African Association for Marine Biological Research will touch on the importance of healthy oceans as a foundation for success for blue economies. For a vibrant ocean economy, healthy oceans are required. CEO of Southern African Shipyards, Mr. Prasheen Maharaj will present on a co-operative and collaborative approach in shipbuilding and creating a collaborative economy for shared economic prosperity. He will also link shipyards roles as primary systems integrators. Putting in place sustainable development goals for increased ocean activities is quite paramount in progressing through the stages of Operation Phakisa. Director of Maritime Services for the Kwazulu-Natal Department of Economic Development, Environmental Affairs and Tourism, Ms. Tantaswa Cici will talk on the exploration of available opportunities and how to capitalise on them. Boosting the tourism sector can be achieved through capitalising on popular tourist attraction activities that coastlines offer. Ms Nomalanga Sokhela, Programme Manager: Maritime Industry Development Programme of Ethekwini Municipality will offer City of Durban’s Cruise Tourism Industry Support perspective by outlining strategic partnerships. Mr. Peter Myles, Chairperson of the Nelson Mandela Bay Maritime Cluster, will be touching on maritime clusters as think tanks for uplifting ocean economies. The development of an integrated approach to managing coastal and marine space and viewing skies and seas as the key to unlocking Africa. Be part of the exciting dialogue on oceans economies and networking by contacting Mbali Mlangeni via bookings@intelligencetransferc.co.za or +27 (0) 11 326 2501.